She is a Nationally Certified Licensed Massage Therapist. Shannon has studied at Penn State in the Physical Therapy Assistant program and also attended Harrisburg Area Community College’s massage Therapy program. 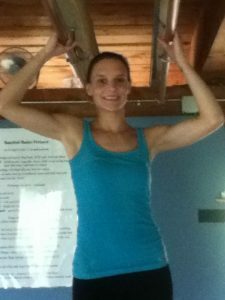 She finished her education in 2011 and has been a practicing LMT ever since. Throughout the years, Shannon has taken various continuing education classes and certifications. She is passionate in her massage career to help others by providing a customized experience that will relieve muscle tension and improve her client’s quality of life. Shannon’s approach to her massages is to integrate all of her training into each session to best benefit her client’s needs. This massage is designed to treat specific areas of tension. For many people this is the neck and shoulders and upper back. Focus massages are also great for headaches. This is a great service if you are short on time, but are seeking therapy. Find relief from chronic pain, tension, and tightness caused by injury, or overworked muscles. Using a variety of techniques this massage relaxes, circulates and rejuvenates the body. Techniques include (but are not limited to): Swedish, Dee Tissue, Trigger Point Therapy, Hydrotherapy and Aromatherapy. Why Choose Shannon Ginder For a Massage? She customizes each massage session to meet each of her clients needs. Whether they have a chronic pain or just need to unwind and relax their mind and body, I rpovide a hgihly therapeutic massage that will increase circulation, decrease tension and stress. © 2019 Elizabethtown Family Chiropractic. All Rights Reserved.